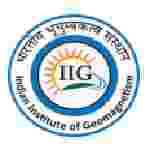 IIG recruitment 2018 notification has been released on official website www.iigm.res.in for the recruitment of total 09 (nine) jobs out of which 02 (two) vacancies for Superintendent, 01 (one) for Upper Division Clerk & Various Vacancies. Job seekers should apply on or before 31st January 2018. Here on this page you will get the details like the Name of vacancies released by IIG with exact number of posts. Some other criteria like Education details, application fee and way to apply application for IIG recruitment 2018. Educational Qualification: Bachelor Degree in Arts, Science or Commerce with 5 years experience for S.no-1. Bachelor Degree in Arts, Science or Commerce with 2 years experience for S.no – 2. Fee charges: Applicants who wanted to participate for IIG should pay the below charges through Demand Draft/IPO drawn in favour of Indian Institute of Geomagnetism, New Panvel. Interested and eligible aspirants should apply in prescribed application form along with attested copies of relevant documents & DD submit to the office of the Registrar, IIG Plot No. 5, Sector 18, Kalamboli Highway, New Panvel, Navi Mumbai 410218 on or before 31.01.2018.